This informative and suspenseful book depicts Albert Einstein in a new light and illustrates the emergence of his general theory of relativity in the midst of the first world war. It shows how far Einstein as a single researcher could reach, and how he transformed from being a 'pure' scientist and an apolitical man into a politically engaged person and a pacifist by conviction. Berlin was the mecca of physics in the beginning of the 20thcentury. In April 1914, following an invitation initiated by Max Planck, Walther Nernst, Fritz Haber and the crème de la crème of Berlin’s scientists, the 35-year-old Einstein accepted a position at the prestigious Royal Prussian Academy of Sciences. Einstein wanted to take advantage of the academic freedom and the exchange of ideas in Berlin. His marriage was falling apart, and he had recently fallen in love with his cousin, Elsa Lowenthal who lived in Berlin. He looked forward to both factors of his new life there. Four months later, Germany mobilized its army and the roaring voices of nationalism filled all the science centers. The outbreak of World War I suddenly changed the activities, minds and relationships of German scientists and of Einstein’s relationships to his colleagues, many of whom joined the war frenzy with violent nationalism. Some changed the focus of their work and created the first weapons of mass destruction. As the war began Einstein said he felt, “alone, like a drop of oil on water, isolated by attitude and cast of mind." However, he remained in the city and at his position. Thomas de Padova is a physicist and science writer who lives in Berlin. He is the author of award-winning history of science books. In 2014 he was given a journalist-in-residence-fellowship at the Max-Planck-Institute for the History of Science, where he deepened his studies on Einstein and WWI to write this book. The author researched the correspondence, public speeches, newspaper articles and scientific papers of Albert Einstein, Max Planck, Fritz Haber, Walther Nernst, Max Born and other German scientists during 1910 to 1920. 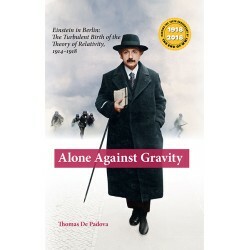 Alone Against Gravity explores why Einstein become a pacifist and how he began to devote himself to political issues. It addresses why Einstein did not move back to Switzerland where he had citizenship and had been living previously. Most importantly, it shows how Einstein - working in the center of a collapsing world - reinvents time and space and finishes his revolutionary theory about general relativity. When asked, "Who is a heroine of the Holocaust?" most people immediately respond: Anne Frank. With the publication of her diary after war she became THE female icon of the Holocaust, though she was only a child. There were women who were also heroines, and their courageous stories are only now coming to light. "The fate of Jewish women and the specific problems they faced is a topic that has barely been touched upon," says Professor Yehuda Bauer of Yad Vashem and an international authority on the Holocaust. “I have read many accounts, but this one (Dancing on a Powder Keg) by someone who did not survive, and whose story has been reconstructed, is exceptional." he says. Ilse Weber, from Czechoslovakia, deserves recognition. 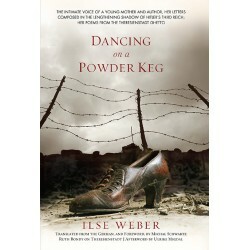 Dancing on a Powder Keg which contains 100 letters and 63 poems written by Ilse between 1933 and 1944 will endear her to the hearts of American readers. This is the first time Ilse's letters, songs, and poems, originally written in German, have been published in English. The book contains photographs, drawings, and two background essays by leading experts. Ilse was a wife and mother, a radio personality, a musician, an author and a published poet. Dancing on a Powder Keg reveals her multi-faceted life living in Prague before the war. It depicts how her family, career and emotions unraveled as the Nazis gained power. Ilse, her husband Willy, and her younger son Tommy were imprisoned in the Theresienstadt ghetto from 1942-1944. Ilse worked in the children's infirmary and sang to the young patients. She risked her life writing poetry about the dire circumstances. Language offered a refuge and consolation to Ilse and her fellow inmates benefited from her writing. Ilse's poems were recited and memorized by thousands of people in the ghetto, and survivors say the poems kept their spirits alive. In 1944, Ilse volunteered to accompany the sick ghetto children on their transport to Auschwitz. Upon arrival, she sang her beautiful lullaby, Wiegala, to calm the children as they were led to the gas chambers. Both Ilse and her son Tommy perished along with them. Wiegela has been recorded and performed by singers across Europe. It is currently featured in the Tony nominated Broadway show Indecent. Ilse's poignant poem Letter to My Son is featured on a YouTube video, with Ilse's grandson in the audience. (Ilse's family and the miraculous discovery of the letters provides another layer to her story narrated in Ulrike Migdal's afterword). 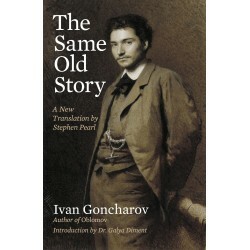 Stephen Pearl’s new translation of Goncharov’s Obyknovennaya Istoriya, will introduce English speakers to a Russian classic that made its author famous, and which is just as amusing and fascinating as Goncharov’s better known Oblomov, which probably owes its greater fame to the fact that the self-indulgence of the eponymous Oblomov became part of the Russian vocabulary. 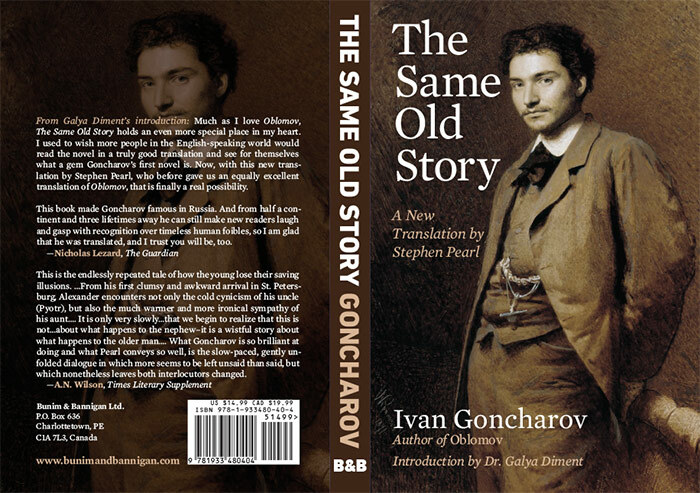 The same psychological insight that makes Oblomov so compelling permeates The Same Old Story with its contrast between Alexander, a young nobleman fresh from the simplicity of country life, and the older uncle, Pyotr. 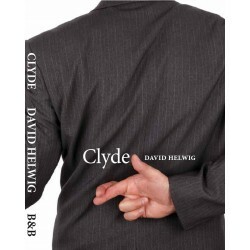 Readers of whatever age and from very milieu will recognize in themselves Alexander’s unreal ambitions and expectations and the sadder but wiser responses of Uncle Pyotr. 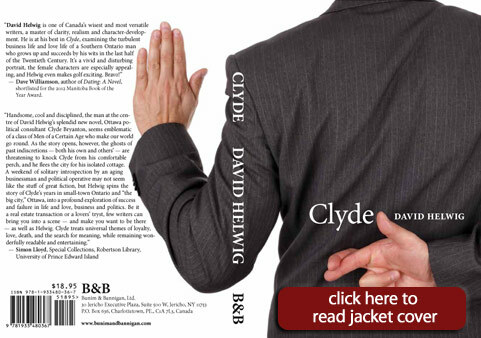 Distinguished Canadian author David Helwig’s new novel, Clyde, is about contemporary Canada, a fatherless young man's self-definition in the final decades of the 20th century, when ‘all that is solid melts in air.’ His career threatened by his oldest friend's betrayal, he recalls milestones, often on the golf courses that furthered his successes. This quote by Milan Kundera sets the tone for the story of 19 year old Mariasse Knyszinski, who, in 1923, has run away from her home in Kraków to be with her cousin, Piotr, in Montreal. Aboard the S. S. Montmartre she meets a young Jewish couple, Shulim and Betye, who have suffered the loss of their 5 year old son. Betye’s grief is such that she ignores their infant daughter, Dvorah, so Mariasse takes care of her for the duration of the voyage. The Madonna-like image of Mariasse carrying Dvorah around on the ship inspires the other 3rd class passengers to refer to her as Our Lady of Steerage. This begins a visceral connection between Mariasse and Dvorah and for the next 40 years they wander in and out of each other’s lives, their relationship weathering both fierce devotion and bitter betrayals. The non-linear narrative and image-driven prose of Our Lady Of Steerage manifests the novel’s chief themes: the vagaries of memory and the struggle for self-reinvention. Adult readers who are looking for psychological insight and emotional complexity will be drawn in by Mariasse’s personal journey that takes her from her Catholic upbringing to her eventual conversion to Judaism and ultimate return to Catholicism. How this full circle mirrors Dvorah’s lifelong struggle with manic-depression illuminates the shadowy divide between the mind and the soul, only to reveal the beating heart that continually brings together and drives apart these two women. 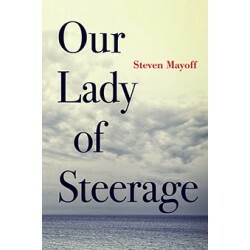 Steven Mayoff was born and raised in Montreal, lived in Toronto for 17 years and has been writing full time in the bucolic splendour of western Prince Edward Island since 2001. His fiction and poetry have appeared in literary journals across Canada and the U.S., as well as in Ireland, France and Algeria. He has collaborated on short radio plays for CBC and on a stage play, Bully, which was produced at the Theatre Centre in Toronto in 2001. He received a nomination for a Dora Mavor Moore Award as lyricist for the musical, SwingStep, which was staged at the Ford Centre in North York in 1999. As a librettist he has written a rock musical, Dorian, with composer Ted Dykstra and a short chamber opera, Milk Bar, with composer Jim O’Leary, which was performed as a student production at Mount Allison University in 2014. He is currently working on a full-length opera, Sikutopia, with Greenlandic composer, Arnannguaq Gerstrøm.